Microsoft’s new operating system Windows 8 brings you the apps concept like all iPhone and Android Apps. So Windows 8 has come up with Start screen and Desktop mode. Windows 8 Start screen is the new concept introduced by Microsoft has already got many criticism from users as well as from well-known critics. The new Windows 8 app can be launched from Windows 8 start screen only and Of course all the apps aligned in Metro Tiles Interface there. Like App store and Google Play, Microsoft has introduced the Windows store, there you can get free apps and paid apps for your Windows 8. Currently Windows 8 app store has a minimum number of app compared to App store and Google Play. Here, We’ve collected the best and most useful Windows 8 apps that should have in every Windows 8 computers or Windows 8 Tablets to get maximum out of their devices. This apps will make your Windows 8 experience very productive, Smarter and Happier . Most of the apps listed here are absolutely free, and some them have in-app purchase options. Most of the apps runs on with Windows RT Tablets, and all of them runs on Windows pro systems. Recommended read: How to Speed Up Windows 8 Booting Startup Time? Twitter for Windows 8 brings you the best ever Twitter experience in your Windows 8 devices. 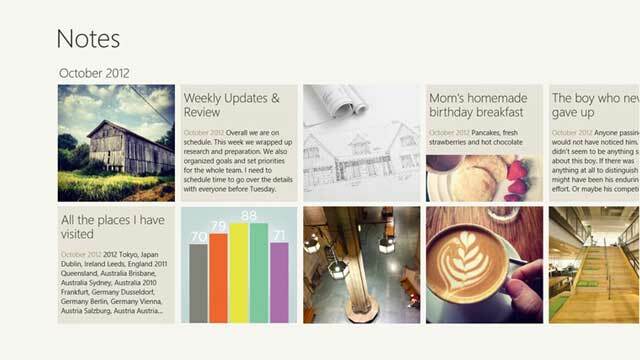 You can get real-time stories, pictures, videos and conversations all in your timeline with fast and fluid technology of Windows 8. 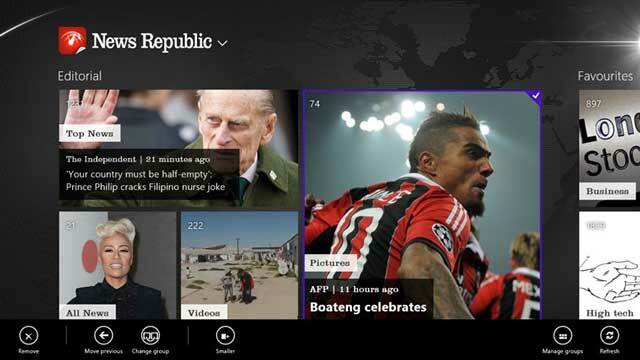 Just try Windows 8 in your Computer, you’ll love the design and metro style look of the app. The 3 features you should look out for are the Discover, Snap View and share charm. The first one will show you the trending stories and recommendations. The Share charm makes it easier to tweet links, pictures and opinions to your followers from anywhere in Windows 8. 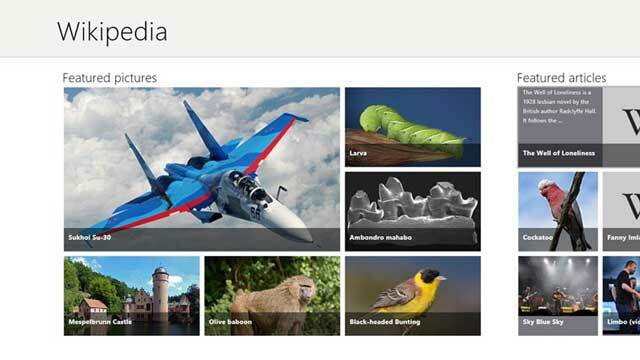 Create the ultimate screen with Snap view on Windows 8. Drag Twitter into the narrow side of the screen and slide in another favorite app. You can stream a live video while you watch the conversation about it unfold on Twitter. Then use the Share charm to join the discussion. Skype needs no intro, which provides the voice and video calls by using the Voice-over Internet protocol(VoIP). Skype was acquired by the Microsoft which brings you the best Skype experience in Windows 8. 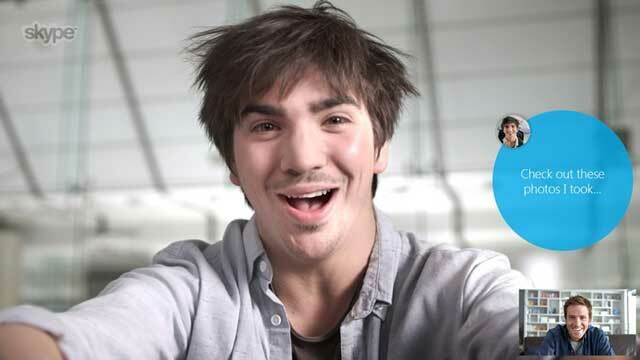 Skype is the always-on app that makes staying in touch with all your contacts easier than ever. Just few months before Microsoft has closed its Windows messenger and integrates its with Skype. In New Skype, the Full screen video calls and the metro style User interface and the notifications in desktop mode with touch gestures are great. 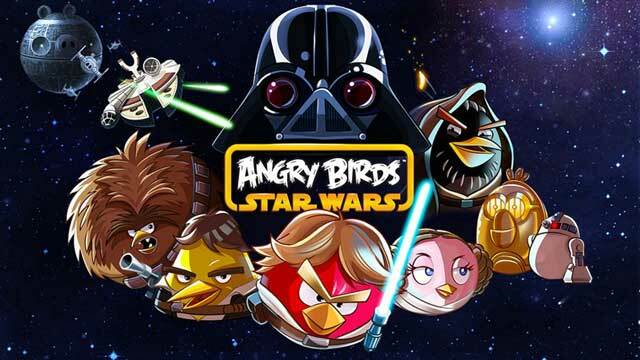 Angry Birds are following your on all your devices and all platforms. 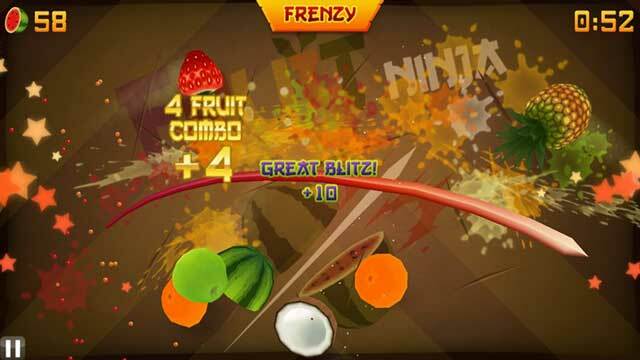 Angry is the one of the most hit and downloaded game developed by Rovio. Time to grab your lightsaber and join the adventure! May the birds be with you!. In this version explore more than 80 levels in iconic locations like Tatooine and the Pig Star. 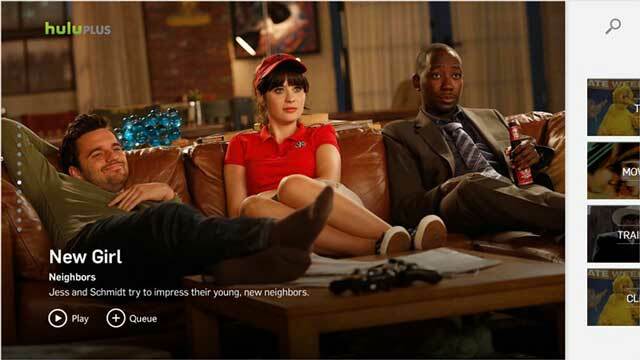 If you are Netflix subscriber then this Windows 8 app will give you amazing movie experience in your Windows 8 and RT Tablets. The Home Screen of the app shows you the Top 10 for you, New Releases and Genres. 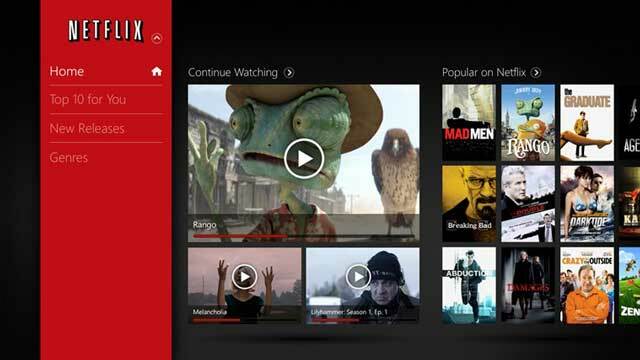 The Top 10 tab will show you the popular on Netflix in a metro styles Tiled user interface. Click the tiled thumbnail and get the movie details in a stunning display with info, rating and more options. Just install this movie and TV show streaming app and instantly watch thousands of TV episodes & movies. Note that you need paid subscription to watch those movies and TV shows. 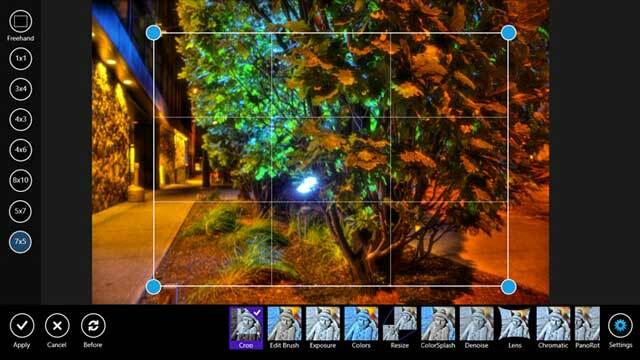 Fhotoroom is the best free photo editing app currently available in windows 8 store. Fhotoroom Package has 76 powerful image editing, photo styles, light leaks, and frames. 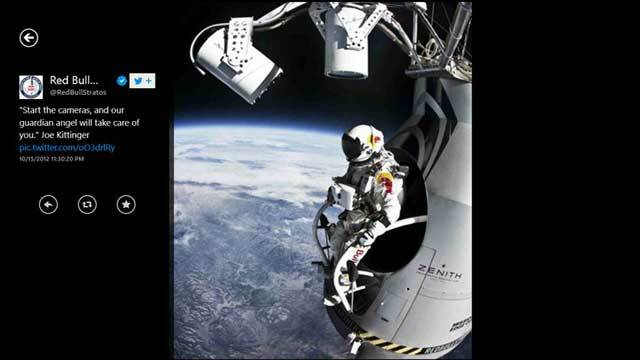 It allows you create stunning photos on your Windows 8. This has also one more feature, editing Brush which brings out the best in your photos you with each mouse or finger stroke to adjust the saturation, exposure and softness. Kindle for Windows 8 is a free Kindle reading app for the Windows 8. 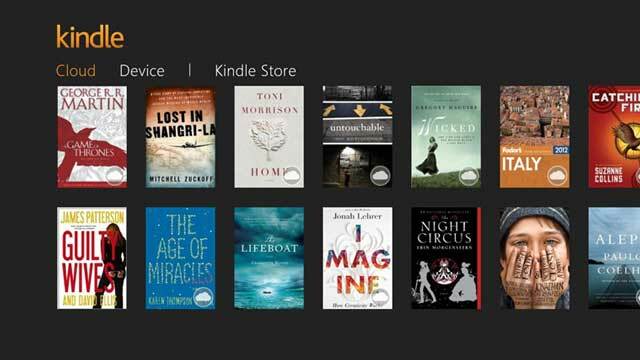 With Kindle for Windows 8, you can shop the Kindle Store, download and read over 1 million Kindle books. Amazon Whispersync technology will sync your furthest page read across devices, and customize your reading experience. Do you want to learn cooking or you out of ideas what to cook next? No worries 🙂 When you have the everyday food app. This app brings you the search recipes and meal idea on your terms, by main ingredient, course, occasion and prep time. 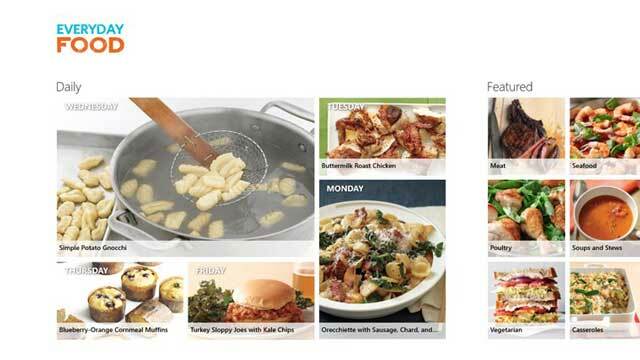 Everyday Food recipes are simple to prepare and always satisfy. This app also brings you the new daily recipe videos from Everyday Food editor in chief Sarah Carey. Install this app and get cook great food in quick time. If you are Microsoft office user, then you may be familiar with One note. One Note is not a desktop app, instead it offers apps for Android, iPhone, Mac and PC. So if you are in any platform, One Note app will sync with all devices. 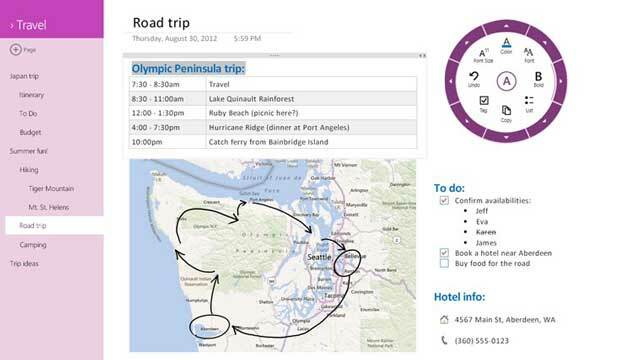 This MS OneNote App has great layout that makes it simple to make notes that you can save to the cloud. You can add a table, tag, photo, list, or paste to your note. 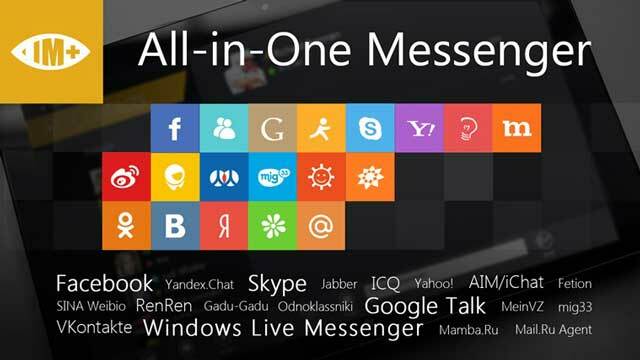 IM+ is all-in-one instant messaging application.It is just a One app, but it connects you to all major Instant messaging services including Windows Live Messenger, Facebook, Skype chat, Google Talk, AOL/AIM/iChat, Yahoo! ICQ, Vkontakte, Mail.Ru Agent, Odnoklassniki, Yandex chat, Mamba.Ru, Mig33, SINA Weibo, Renren, Fetion, Gadu-Gadu, MeinVZ and Jabber. It also supports free text messages and photo sending. The Nook gives you the millions of books, magazines and newspapers to read and download in your Windows 8. 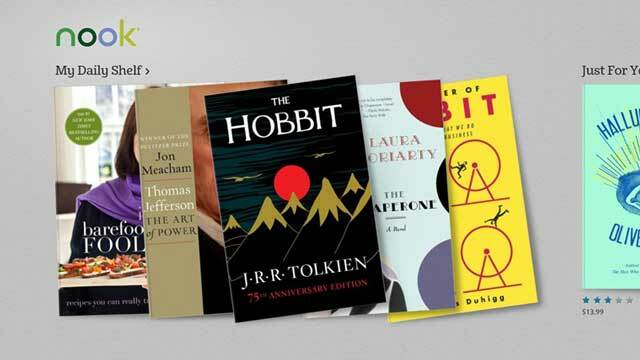 This app has well-designed interface to read your favorite books. Unlike Kindle, There are millions of books available for free download at nook. Like Kindle, you never lose your place, NOOK for Windows 8 syncs the last page you’ve read across your tablet and PC. No matter which device you use, always pick up right where you left off. Evernote faces more competition after Google’s launch of Google keep. But still It is the best and popular note taking app among the users. Evernote has introduced many features and enhancements and strengthen its security after the hack attempt. You can create a plaintext note on your Windows 8 tablet, and then open it on your smartphone or any other devices you use. It auto-synchronize notes among every computer, tablet and smart phone you use. 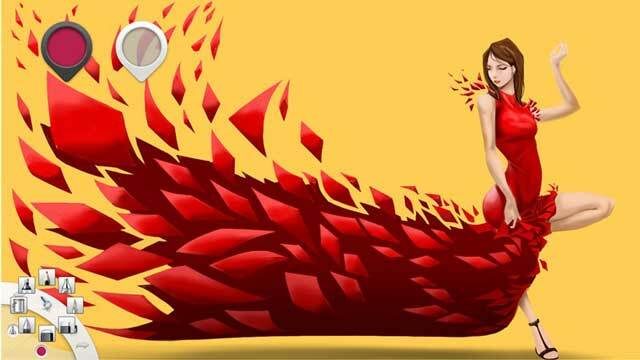 SketchBool Express is free professional-grade painting app that is easy to use for every artist for Windows 8. This sketching and painting app provides up to six layers in drawing and multiple sketches. Just import photos and sketchbook express will do the magic. Tune-In Radio is a new way to listen to music, sports, and news from every corner of the earth, with over 60,000 radio stations and 2 million on-demand programs. 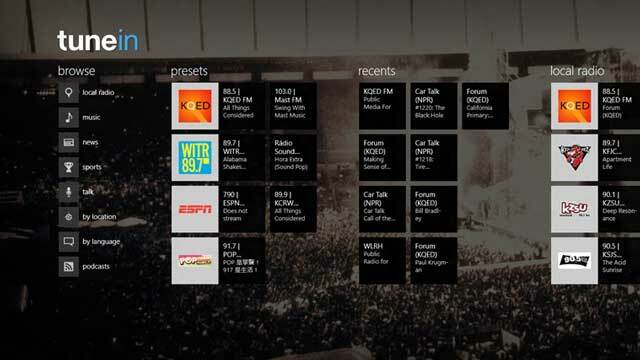 By using Tune-In radio you can find and listen to your favorite artists, teams, comedians or talk hosts. You can also explore the world by listening to live radio from thousands of cities. This is the first ever Music/Video App brings you the music creation with maximum fun. In no time at all you’ll be producing your own hits thanks to a huge selection of professionally produced loops and styles! 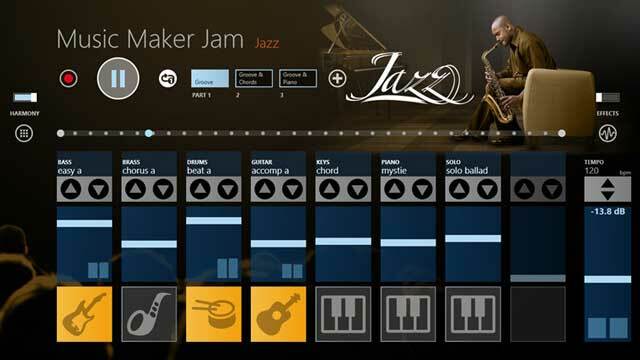 Simply combine the song parts and instruments to get the sound you want, then adjust the key and the tempo or add some spectacular effects in real-time. Tinker Bell is the newest resident of Pixie Hollow, and she’s doing her best to leave a lasting impression on the fairy world. After discovering her talent, Tink invents, builds and repairs new contraptions to make life easier for her fairy friends. 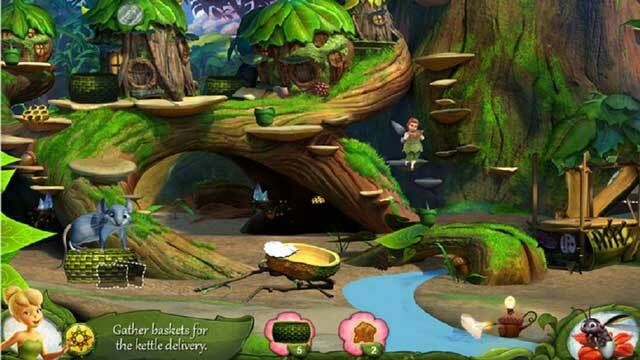 Join Fairy Mary, Bobble and Clank, Rosetta, Iridessa and all the other fairies as they teach Tink about Pixie Dust, sprinting thistles, the many uses of acorns, and the magical world of Pixie Hollow. This Official Wikipedia App for Windows 8. Wikipedia is the free encyclopedia containing more than 20 million articles in 280 languages, and is the most comprehensive and widely used reference work humans have ever compiled. Are you a frequent traveller and have no time to read books ? then Audible is the best app for you to listen books on the go. 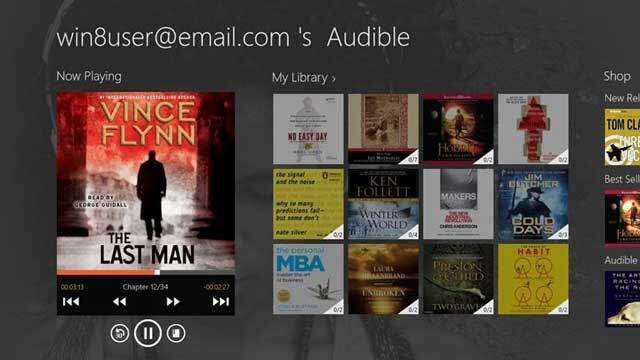 Download the app by Audible, an Amazon company, to listen to books on the go. This app has chapter navigation, bookmarking, annotations, Multi-channel background downloading.